Yesterday was a big night for Marine Le Pen's anti-EU Front National, which emerged as the main winner of the first round of the French mayoral elections. The party won an outright victory in Hénin-Beaumont, a former mining city in northern France, and finished ahead in six other towns - where its score ranged from 27.69% (in Digne-les-Bains) to 40.3% (in Fréjus). In Marseille, the second most populous French city, Front National finished second with 23.16% of votes, behind the centre-right UMP (37.64%) - relegating President François Hollande's Socialist Party to third place, with 20.77% of votes. We will have to wait until tomorrow evening for the final results. But, according to the preliminary figures made public by French Interior Minister Manuel Valls, the centre-right (that is, the UMP and its allies) won 46.54% of votes nationwide - well ahead of the centre-left (Socialist Party and allies) on 37.74%. So not exactly a night to remember for Hollande. Le Pen's party was only running in 597 of the almost 37,000 municipalities up for grabs, and therefore won only 4.65% of votes nationwide. However, this is much better than in 2008 - when Front National only managed to run in 119 municipalities and won around 1% of votes nationwide in the first round. This suggests it may be consolidating as an electoral force at the local level. The second round of the mayoral elections will take place on Sunday 30 March. Interestingly, several top Socialist figures (from Hollande's spokeswoman Najat Vallaud-Belkacem to Prime Minister Jean-Marc Ayrault) have called for the centre-right to support a so-called Front Républicain - whereby the Socialists, the UMP and other centrist parties join forces to stop Front National candidates prevailing in the second round. However, UMP leader Jean-François Copé has this morning dismissed the idea. So unlike Geert Wilders in the Netherlands, whose PVV party saw its support decrease slightly in last week's Dutch local elections, Front National is on a clear upward path - and it would be no surprise if it came out as the largest party in the upcoming European Parliament elections. It will be interesting to see how yesterday's results will influence the campaign. We have already noted that several centre-right French politicians - including Nicolas Sarkozy himself - have embraced, at least in rhetoric, a less idealistic approach to 'Europe'. Given the Front National's strong showing, this is only likely to continue. 1. For both Wilders and LePen imho the importance comes from what they do in the polls re the national parliament(and occasionally elections for that). For both these however municipal elections are rather complicated to place. LePen winning with 9% while nationally she is >20% simply shows that clearly. With Wilders it is even more extreme. From there (national polls) these parties put pressure on the traditional parties. Eg on immigration and the EU/Euro-issue. More important as these are the 2 countries that put (after Germany and with the UK) the most pressure for change on the EU. France as the no 2 after Germany and Holland as the second biggest de facto backer of the EuroZone. 2. Winning here means nothing when in the national polls your percentage goes back (corrected for all the funny stuff). Wilders is on one interview for instance (mentioned on his party's website) stating roughly that he couldnot care less about local politics and that he is mainly interested in provincial politics because via that way the national senate is chosen. More for Wilders than for LePen they are simply not able to come up with enough proper candidates for the local stuff. Plus they form a PR risk. Lot of loose guns there in this part of the politcal spectrum that might give you negative PR nationally. 2. Looks like for LePen the trend is still overall positive. b) has very weak unappealing candidates (and the left has neither). May be Sarko's return can turn that trend. However media are hardly Sarko friendly as far as I have seen it. Going for the more traditional vote he would probably need more support from that angle (traditional media). A upward trend for Le Pen simply means it eats on the right the votes away from the traditional right. If these cannot come up with a more attractive proposition it has to be done via simply taking over LePen policies. Including moving to Euro-sceptic. 3. LePen seems to be eating from the Left as well. Probably as the French left make Mr Ed look absolutely brilliant. But nevertheless shorter term it works the same overthere. And the left has already reacted and basically became rather Euro-sceptic. More in general LePen has made in France (internationally it still has a stigma) the party effectively a sort of main stream party. Where also others than fully disappointed people want to vorte for. Important trend btw imho. 4. Clear for both these parties that they are one trick or at best two trick ponies. Take LePen and certainly Wilders away and the party is gone certainly as a national force. In Wilders case likely the other candidates would have only their old mothers voting for them. Simply seems nearly impossible to get real talent aboard. 5. Both seem unable to get proper people aboard in enough numbers so they could govern where it could be demanded. Wilders even more than LePen. Likely getting in a cabinet would be hardly manegablebe. More seems a no go. Look at Wilders his Euro report. Pretty decent thing as such but simply the whole party misses the skills to discuss it at a technical level. 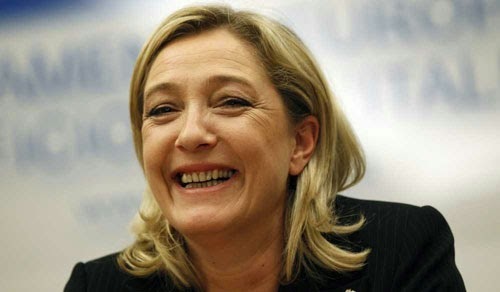 Or look at LePen on economy, also gives a rather sorry picture. Likely governing would be a huge risk for parties like this. If when it happens they could do a Lega Nord has to be seen, but looks doubtful from what we see now. 6. First proof of the pudding will be the EP elections for both. Which will make comparison nationally properly possible. But people vote mainly for LePen or Wilders even in that election. On the attention junky Wilders. 1.Wilders could not keep his mouth shut lately. Media are all over him. But one should be very careful with that. 2. Media coverage is largely wishful thinking. He has been over several times and still always comes back. Public is simply not so nice as a lot of people like to see them. There are simply a lot of semi-racists and simpletons around to say it bluntly and they look for a place to vote. And their vote counts as much as anybody else's. Look at Scotland for instance a less populist example in the eyes of many. 30-40% possibly could simply be buying the BS Salmond is trying to sell. Berlusconi ad de facto a majority. Clearly there are not only rational people around or people that meet the common (partly a bit hypocritical) current European decency standards. Might not like that but that is how it simply is. 3. He clearly did this well planned. He likes to take risks with that. Things can go wrong, but they not often do longer term especially. Probably a rational process fromhis side. Seems too good coordinated and timed. Could backfire at the end as he is a risktaker but he simply has taken that bet. Why possibly as he want the muslim/non-EU immigration back on the agenda. Show the other parties have no answers and he is the real thing. Who knows. 4. It seems now that earlier votes coming in from the VVD have moved to traditional other more right parties. Bit strange as especially D66 is very pro-Euro and definitely no anti-immigration party. No whatsso ever went back to Rutte. Seems Rutte has lost the trust of half his voters and it doesnot seem to come back. Rutte's party has a serious issue with that. Their leader is unpalatable for the markets where they should restore their voterbase from. And all new leadership candidates are simply crap. They however will have to move if people move structurally the party would get a much lower base. They wanted all a move to the centre and still attracting the whole right vote at the same time and it backfired. Basically not unsimilar with the Tories btw only this seems still managable. Clearly indicates that the run from Rutte's VVD looks permanent. All voters moved not back but to other parties. 5. The reactions from all angles seem well timed (they seem to work as in Wilders negative). However we will have to see how they work out somewhat longer term. It also became very clear that no other party has any solution for the issue itself. Basically all was about the presentation thereof. And a majority simply see the Morrocans as a (substantial) problem. It is in combination a bit complicated issue. Something for which there is de facto a voter majority, but no where near that a MP one ad is on top of that presented in a very blunt way. The media focus seems to be fully on the presentation as said, but very doubtful if the other parties want really a proper discussion on the issue. As clearly they donot have any answers as well. Not even a proper discussion seems possible. Huge risk for the traditionals this ostrich policy. Unlikely they can keep it surpressed much longer. It is probably close to if not already over 12 in this respect. 6.Seems like most in Europe the voter and politicians are in a state of cognitive dissonance on this. Seems simply not possible to attack the problems that (as a group) dysfunctional large groups of immigrants give and having no policies that adress that group specifically and adress those groups. And nearly all Western Europeans have their own Moroccans. How it will play out difficult to see. Might be different in different countries. Anyway it also constitutes a huge EU negative. Seems like you either adress it or you cannot be accused of colonialism/racism etc. But not both at the same time. Clearly all main stream parties are running away from the discussion. Which is not only immigration in the strictest sense but also also integration of several often large groups already there. 7. What he did was put his party as the main anti-immigration party on the map again. Have to see how this will play out here. On one hand more normal/traditional voters leaving. Doubtful if they come back. They moved however to unlogical places, but clearly also donot like the way Wilders put things on the agenda (especially when people are involved). On the other side it might create longer term a new influx from other voters. As it is clear that traditional and other populist parties donot have answers. And the public even in majority clearly sees it as a problem. 8. First indications however look clearly negative. Drop in the polls and becoming more of an outsider (unpalatable for other parties). In a few month times we probably can see how this will play out. When the media attention on the event itself blows over. If positive for Wilders it would indicate a new low in taste etc. At the disappointed voter part of the market at least. Good one to watch in that respect. Seems moral/decency standards are dropping fast in Europe. 9. He seems to have given up the way to the mains tream voter. That he seems to start attract lately (allthough the trend seems to have stopped somewhat lately. Anyway hard to see that he will attract many higher educated with simple mainly verbal solutions. 10. MPs and councillors leaving the party looks to be clearly overhyped and wishful thinking. The party c'est soi. People vote for the party because of Wilders and people got elected because the voter in nearly all cases voted for Wilders (even when voting officially for someone else) It is as the drop in polls a sign that he is pushing away a group of votes but not more than that. No alternative party will arise from that, that gets elected next time. Might however be room for a more 'decent' populist party (but that one doesnot seem to be in the pipeline). An AfD style one, with a competent leadership group and not a oneman band like Wilders. We would have to see how that one could work (on the basis of all the work Wilders has done). Or one of the traditional bites the bullet and attacks the EU and immigration issue at least. Hopefully before it fully runs out of hand. One of the main challenges for reformers as I see it will be how to deal with these parties. In no way as official self-chosen allies of course. The Wilders events lately clearly show they have their own agenda. And it is one few 'normal' people and certainly normal politicians like to be associated with. You want to be able to discuss things in a normal atmosphere and not one totally polluted by a recent Wilders statement. However on the other hand they are allies by faith/coincedence. A lot of the reforms are high on their agendas as well. Plus like with repatriation of powers very similar on top of that. They also simply miss clearly the technical expertise on a lot of the issues in more detail. Look at IP it took several years to come to the conclusion that breaking the bond will take many years. And still they are unable to give an indication how this would go in real life. Same on the left side btw. Die Linke or Duch SP seem also pro reform and pro repatriation of powers. These parties nearly always are great at putting a thing an national agendas. Wilders says something and national media Pavlovian reactions are more or less guaranteed. On which traditional politicans rects which generates even more media exposure. And with Wilders on top of that it reaches the international press as well. It works a lot better as far as putting things on the agenda if Wilders does it as we see now than when Cameron or evn worse Hage does it. Simply better news when Wilders (just using him as example as everybody normal usually hates him) is involved. Not always the same over the whole board of course. Wagenknegt's analysis for instance simply seem far superior of those from the traditional parties. And she seems able to hold her fort in any discussion howver technical on this issue in the widest sense. Basically it seems that how to get the info that something is happening somewhere else in Europe to all these populist is the issue. Without people putting yourself in the same corner. These parties could be helpful to even essential in getting things on the agenda and as a force behind change. The rest of the parties start to move because of them into more popular accepted directions when there is a populist political alternative. In this respect imho it is good to realise that there are a lot of trends going on that shine pretty negatively on the niceness of Europeans. Might have been better if not but that is hardly relevant. They are what they are. -There is clearly a partial racist anti-immigration trend, with large groups. Next to a more legitimate 'want to be kept feeling at home' one. -It is largely now on immigration emotional iso rational, effectively always was. In that respect the last Wilders events will give a proper indication if norms are changing even more. -Not only economics also social is important if not more important. You donot counter this with often rubbish (on top of it) economic argumentation (like with our Rumenian friends). -Immigration is simply part of any EU reform that will appeal to a large voter base. -The 'Politically correct' views clearly overrepresented in the mainstream traditional media seem simply to have lost it popular majority. Voters are afraid of their welfarestate and simply donot like mainly low end immigration (and the more Muslim and Black it gets the worse that trend gets). Wait till this is properly organised (and it has it in it to become a nice mess). -EU has become an emotional issue itself for alot of people. People react differently now from when the times were especially economically better. -Votermarket has split. Desillusioned part and the traditionals. Which behave differently. Populist work on thier desillusioness. The rest work more on argumentation, however much more as well on self interest than parties seem to assume. -Media make a mess of how they represent and present public opinion on these issues. They are as disconnected or even more so than the politicians. You cannot get an idea about public opinion on this kind of issue via the satndard media. So at the end of the day organisations like OE him to think how they will deal with this given. And so will traditional political parties, but those always seem to be way too late on that. This is simply not a very nice moral high horse enviroment some people want this to play in. A lot of simpletons around and a lot of people with self interest if not clear negatives like racism around. Nevertheless that is the enviroment one has to operate in. Making it much nicer than it is is imho the main reason we see one populist after another popping out of the ground. An as said it they may be essential as informal allies in getting things on the agenda and creting the platform for medium term change. The lack of democracy in EU member states (on the subject of the EU itself) is now going to push people to extremism. The three main political parties in the UK do not look like ever offering us a validation of the EU either. You could argue that this is to hide the fact that they have all gone so far off-piste and have made a complete mess of our relationship with the EU. Will EU leaders agree on sanctions for Russia? EU sanctions on Russia: Who would they hurt most?